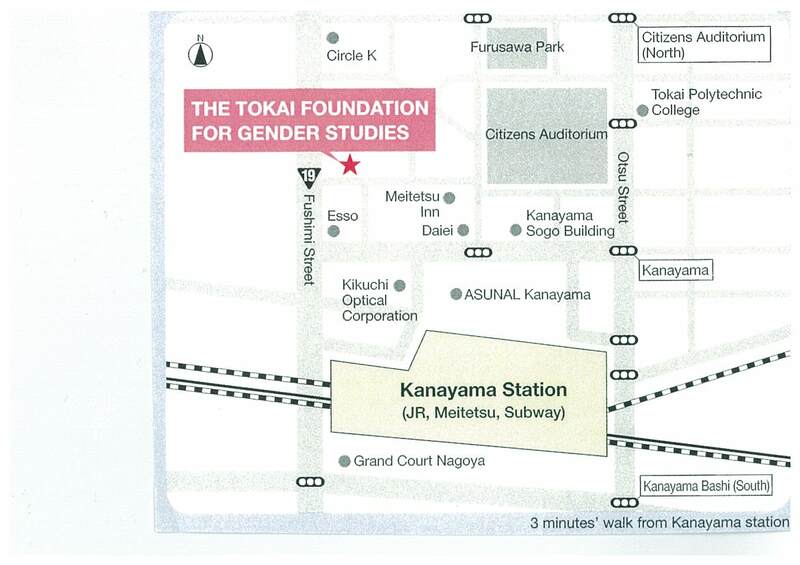 The Tokai Foundation For Gender Studies was established on June 2nd 1997, having been granted permission by the Japanese Prime Minister to be the sole public-interest foundation under the auspices of the Gender Equality Bureau of the Prime Minister’s Office. Its founding goal was to bring about a gender-equal society through supporting research and various other activities. The roots of the foundation go back to 1975, when the UN General Assembly decided to promote gender equality by supporting activities related to “International Women’s Year,” inspiring women in the Tokai area to conduct wide-ranging, continuous research and related activities. In 1979, the U.N. General Assembly adopted the “Convention on the Elimination of All Forms of Discrimination against Women” which was ratified by Japan in 1985. However, at the end of the 1980s, problems with women’s working condition, the public support for child rearing, among other problems, remained largely unsolved. Then several female scholars founded the “Contemporary Feminism Study Council” and started academic exchange with researchers overseas. It is against this background that at the end of 1995 steps were taken to create a foundation for research by and for women, and in 1997 The Tokai Foundation For Gender Studies was finally established, first as a public-interest corporation (1997?2011), and later as a public-utility corporation (since 2012). Since our establishment, the foundation has promoted and engaged in the activities listed on the right (See also our website). With the aim of contributing to the realization of a gender-equal society, this foundation’s activities focus on conducting research into gender issues, encouraging young scholars, raising the public consciousness of gender issues and helping to bring about gender equality. ・In order to contribute to the solving of basic problems that impede the creation of a gender-equal society, we bring together interested scholars, identify suitable research areas and organize and conduct research projects and publicize the results. ・For individual scholars? : We invite younger scholars to apply for research grants in gender issues. ・For research groups? : We publicly invite groups to participate in research on gender issues and problems. ・We collect articles from domestic and foreign sources and make them available for reading. ・We purchase books, DVDs and other materials and make them available for borrowing. ・We issue the annual journal Gender Kenkyu [Gender Studies] which gives an account of the results of our research projects and papers by the recipients of our research grants. ・We issue the newsletter LIBRA three times a year which reports on news related to gender studies and the foundation’s activities. ・We make seminar rooms available to facilitate activities of the members and other related groups. ‘T’ of the above logo mark symbolizes a woman and a man egually supporting a thriving society. During the French Revolution, Olympe de Gouges famously wrote that if a woman has the right to be put on the scaffold, she then has the right also to appear on a speaker’s platform. Moreover, if both men and women have the same obligation to pay taxes, it follows then that they also have the right to be admitted to honors, professions and employment. Now, over 200 years later, Gouges’s wish has become reality for most of the world’s women. 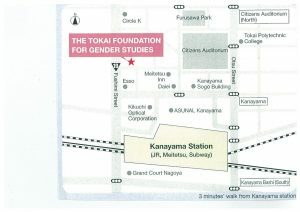 It was in order to further advance this progress that The Tokai Foundation For Gender Studies was established, and then relaunched as a public-utility foundation in April 2014. The foundation bring together people who believe in human rights for both women and men, and make proposals through investigation and research on the means of achieving gender equality. The title of our newsletter, LIBRA, comes from the Latin word for scales. We chose this name as it fits in with our goal of widely promoting gender equality throughout society. Since this is a registered public-utility foundation, membership fees and donations are given preferential tax treatment. Copyright© 公益財団法人 東海ジェンダー研究所	, 2019	All Rights Reserved.